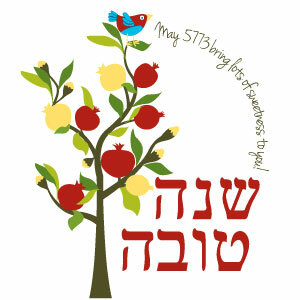 Our traditional greeting for the High Holidays is – Shana Tova – ” a good year ” Typically we do not say “Happy New Year” but that is not wrong it just isn’t the traditional greeting. We offer a wish for sweetness, health, peace and wellbeing. On the first night of Rosh Hashanah after the evening prayer, it is the custom to wish Le’shana Tova Tikoteiv Vetichoteim (Le’Alter LeChaim Tovim U’Leshalom) which is Hebrew for “May you be inscribed and sealed for a Good Year (and for a Good and Peaceful Life)”.